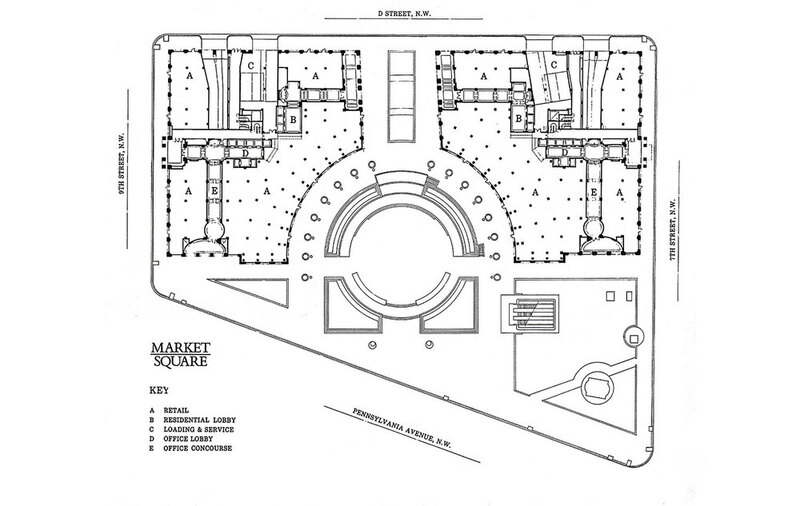 Market Square is a competition-winning scheme for a pivotal site on Pennsylvania Avenue, appropriately continuing the neoclassical vocabulary of the Federal Triangle. 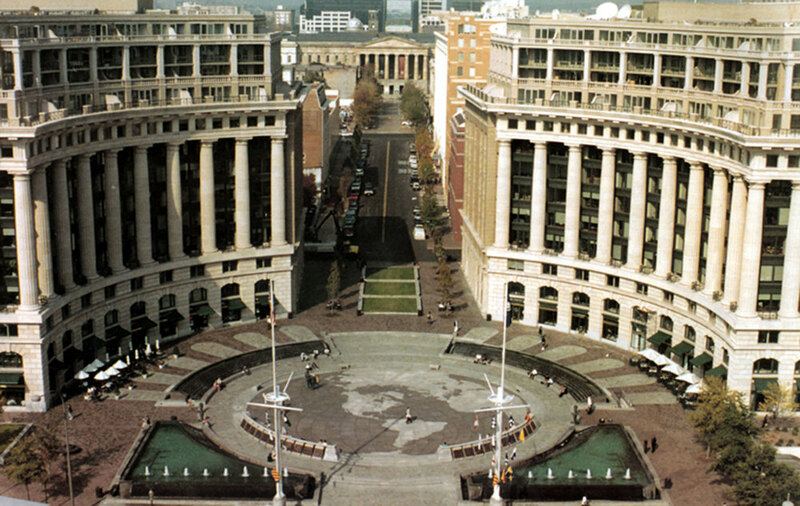 Bisecting Market Square's twin, mirror image, mixed-use buildings is the only cross axis along the avenue joining the White House and the Capitol. This two-block development combines an office complex with 225 residential penthouses on the top five floors and community-oriented retail at grade.